I do crochet things other than the butterfly shawl. 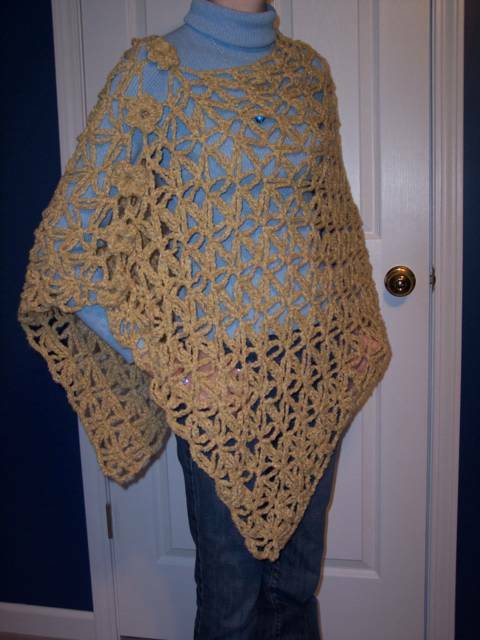 I made this poncho, for example. I made one for my niece Mallory for Christmas, and when I had Brigid try it on for size, she liked it so much that she asked me to make one for her, too. Ooh, a request! How could I turn her down? 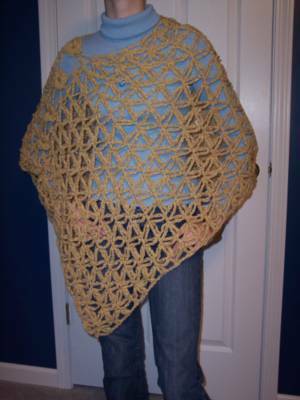 This pattern is slightly tricky at the beginning, but once you get the hang of it, it's actually quite easy and goes rather quickly. I can make one of the ponchos in just a few hours. I like the open lacy look. 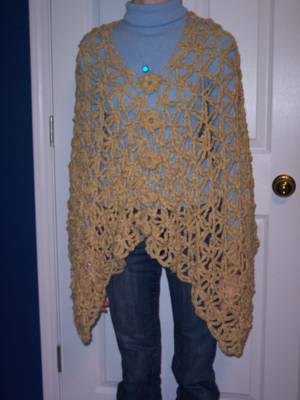 This poncho can be worn two ways, with the flowers down the front or over one shoulder. It looks really nice over a turtleneck sweater, like Brigid is wearing in the photos below, or over a tank top in warmer weather. Brigid is still headless in the photos, of course. Shy girl. Here, the flowers are in the front. Here's a back view with the flowers in the front. 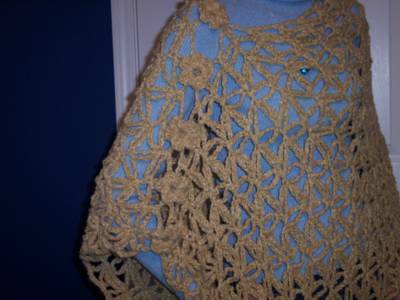 The flowers can also be worn over one shoulder. 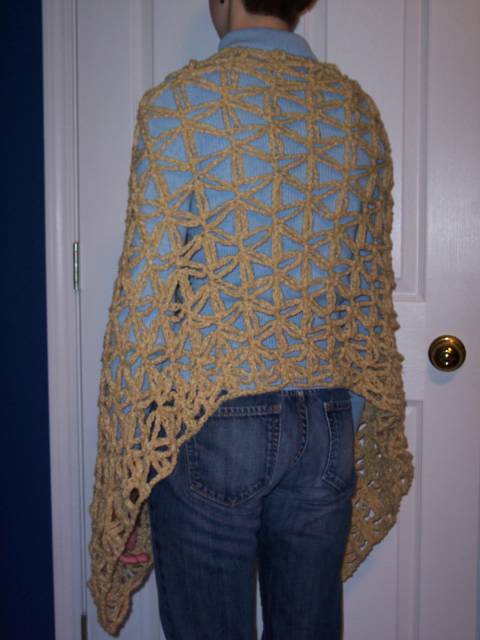 The points of the poncho are off-center in the front and back. Is there a pattern for this pretty poncho? The pattern is linked in the first paragraph.